Fifty years after King’s assassination, we at IMAN remain committed to driving out darkness, hatred, poverty and the blight of devastating structural racism from the inner-city communities that we serve. 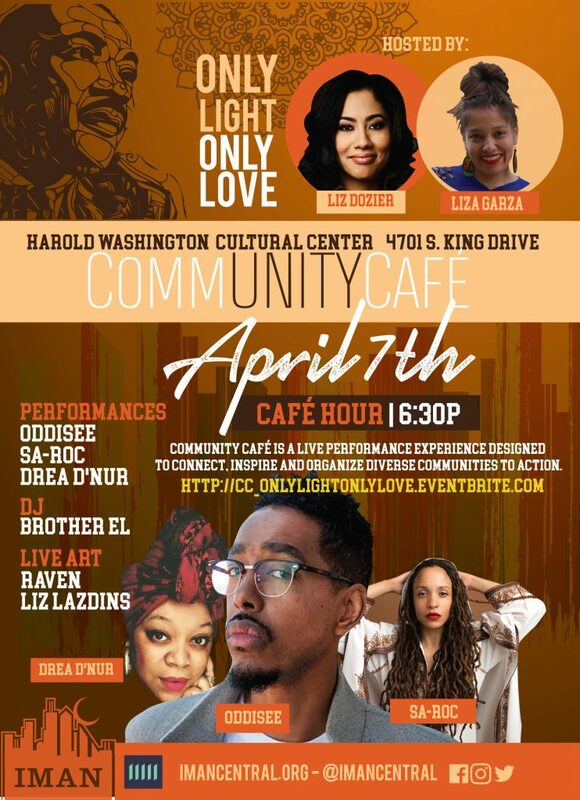 Only Light, Only Love is a weeklong series of events focused on building the powerful, permeating love which—by necessity—”implements the demands of justice” as Dr. King demanded that it should over five decades ago. Shine light with your own handmade ceramic oil warmer. Connect with community members as we deepen relationships, build power and know our rights. Gather at the Marquette Park Fieldhouse to reflect on Dr. King’s life and the power of community. Engage with IMAN artists during a pop-up show at a local corner store. Spiritually recharge and reflect with family and friends.